NM/NM 1151229, perfect unplayed copy without a single spindle trace. A couple of 2mm length scuffs on A side. 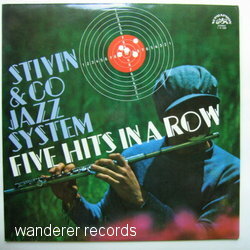 1973 LP: Jiri Stivin, Zbigniew Seifert, Barre Phillips, Rudolf Dasek..